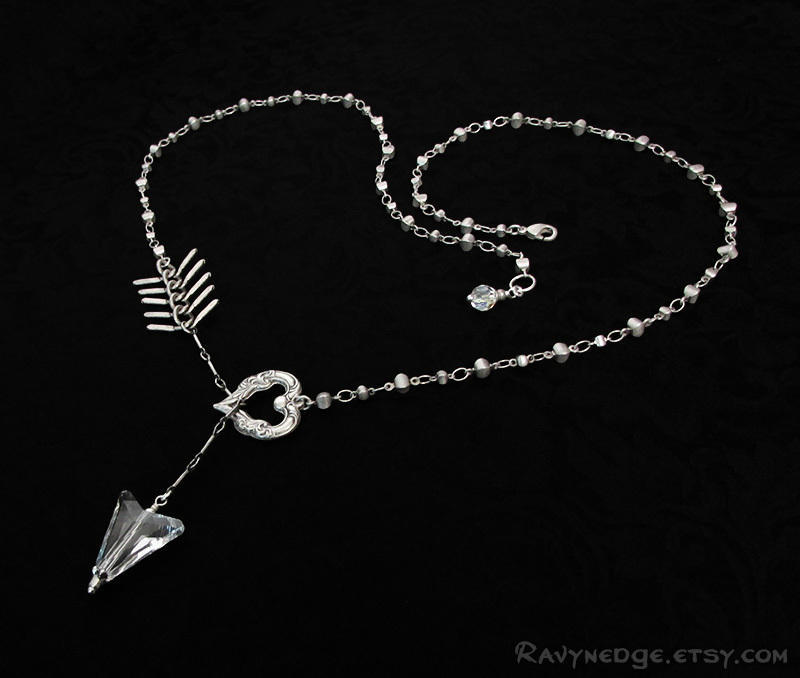 Love Struck Pendant - Heart and Arrow Necklace Lariat Necklace by RavynEdge. 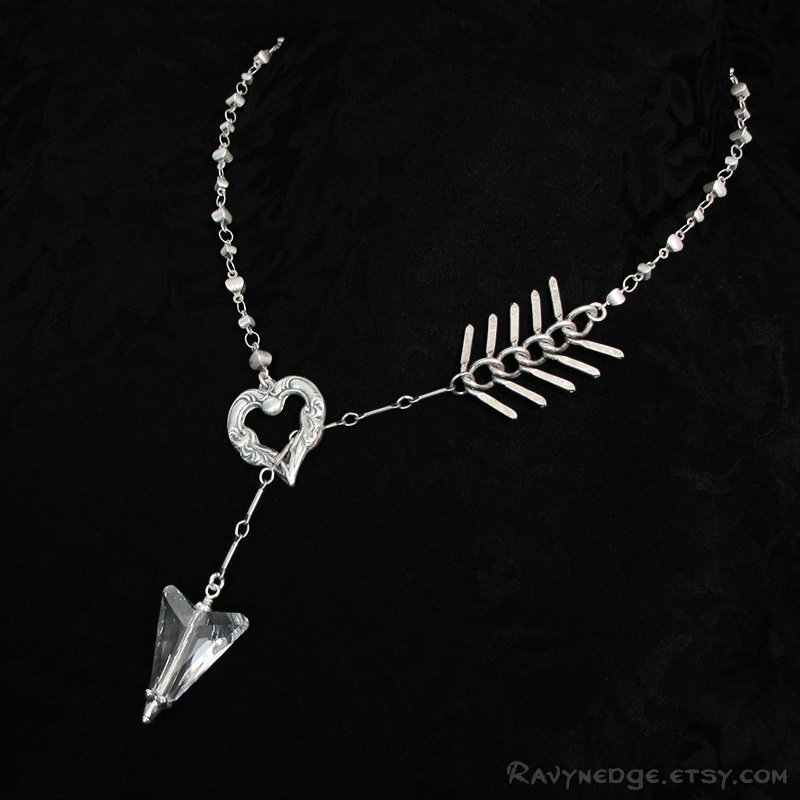 This unique necklace features a crystal clear Swarovski tipped arrow piercing an open heart in a flattering y drop shape. Measures approximately 22 inches (56cm) if the arrow is at the position shown in the pictures. 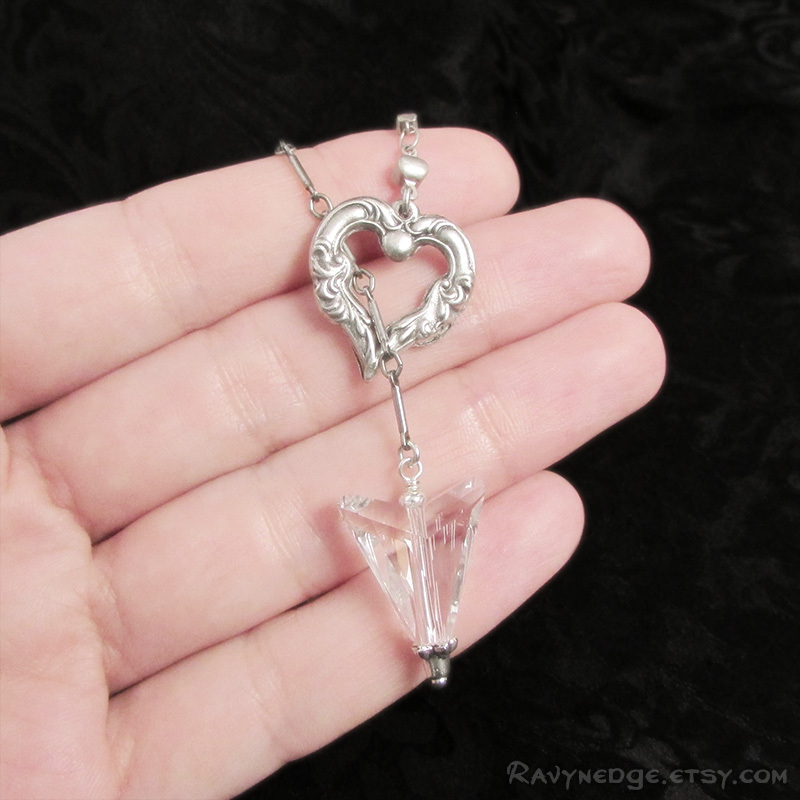 Closes with a lobster clasp and decorative crystal dangle. 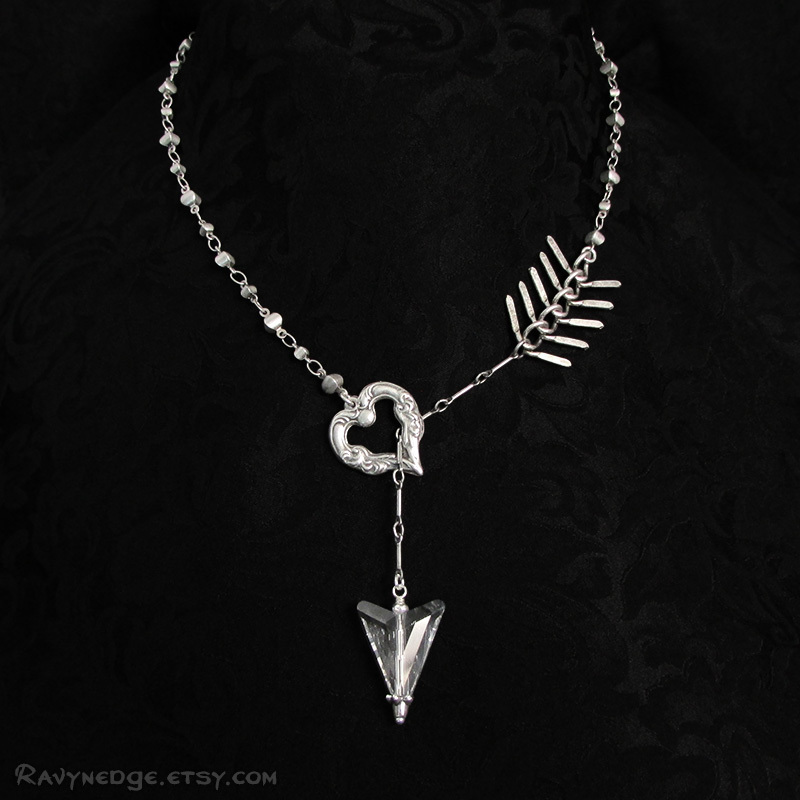 Made of sterling silver plated brass. 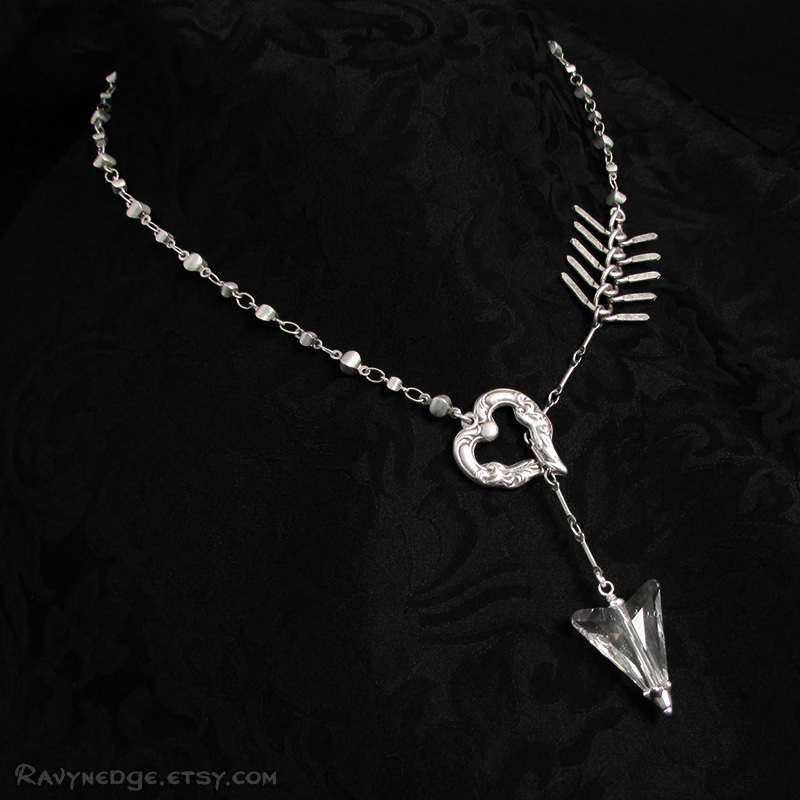 All metal has an oxidized finish to give that wonderfully romantic and gothic look with a vintage appeal. Nickel free and lead free.